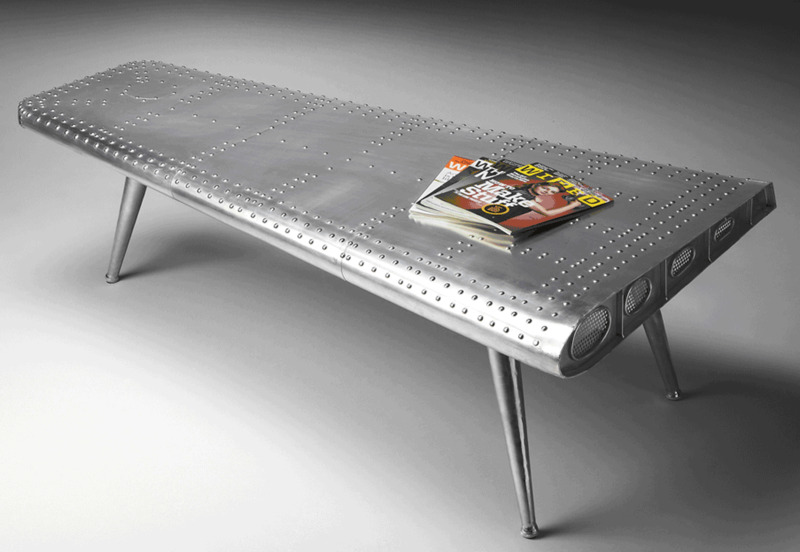 The perfect, practical table for aviation enthusiasts! An amazing value combined with quality workmanship provides a stunning addition to any room. Be sure to read the reviews below. 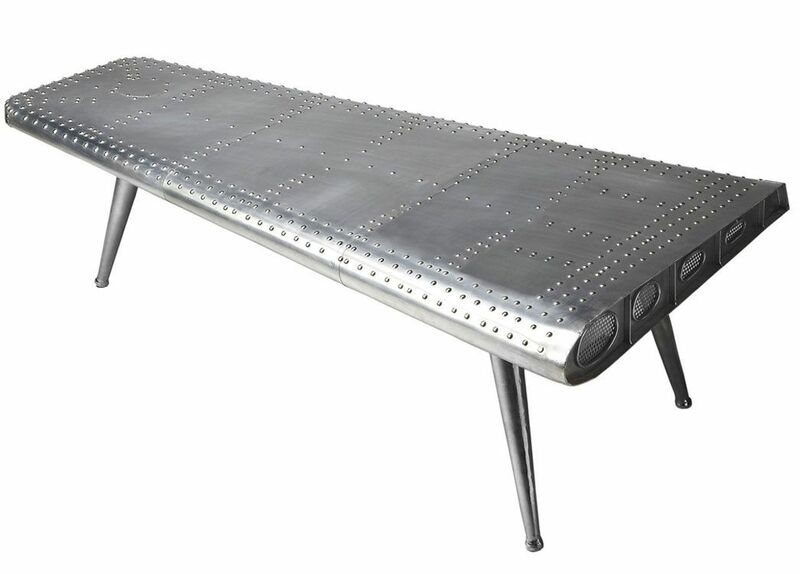 Airplane Decor – This Airplane Wing Coffee Table or Cocktail Table is perfect airplane furniture for any aviation themed room. Of course, it is an ideal gift for a pilot or for decorating an aviator man cave. We also think that this coffee table is so cool that anyone would delight in its unique table design. The Airplane Coffee Table uses a wood and mdf base for the cocktail table. The wood frame is then covered in sheeted aluminum, and to complete the authentic aviation look finished with rivets. This table will definitely add some high flyin’ design to your living space. Sorry the air crew to bring coffee is not included. It was actually larger than I expected but it looks totally awesome! This table is an impressive addition to our reception area. Tons of compliments coming from true aviation junkies. Thanks Tailwinds!! Love the look. Great for any aviation buff.